The chalk and blur magic tools. View More Screenshots or the Gallery of Children's Artwork. 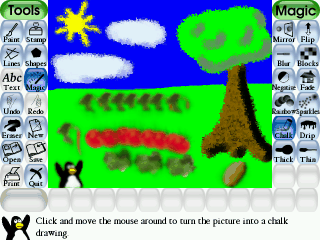 Download Tux Paint today, and enjoy!